Beyond the Photograph classes and workshops are for photographers who want to “up their game.” If you are you ready to unlock the potential of your camera,Beyond the Photograph has instruction tailored to help you master the techniques and seize the language of photography. 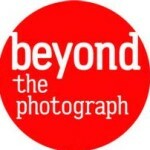 Beyond the Photograph is dedicated to helping students make better,more dynamic and meaningful pictures. Our teaching approach encourages students to look beyond the pretty pictures and dig deeper,towards more meaningful photographs while,at the same time,understanding everything that is available on their digital camera. We cover f-stops,shutter speeds,lenses,light and editing of pixels along the way,but our approach emphasizes the language of the image,the potential of composition,the storytelling ability of light and the cultural metaphors that we all share. We believe that every picture tells a story and that by understanding the language of camera and light,the student can unlock potential and self-esteem through the viewfinder.